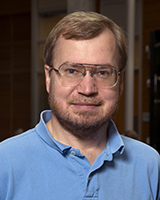 Tom Anderson is the Warren Francis and Wilma Kolm Bradley Chair of Computer Science and Engineering at the University of Washington. His research interests span all aspects of building practical, robust, and efficient computer systems, including distributed systems, operating systems, computer networks, multiprocessors, and security. He is the winner of the USENIX Lifetime Achievement Award, the USENIX STUG Award, the IEEE Koji Kobayashi Computer and Communications Award, the ACM SIGOPS Mark Weiser Award, and the IEEE Communications Society William R. Bennett Prize. He is an ACM Fellow, past program chair of SIGCOMM and SOSP, and he has co-authored twenty-one award papers. A recent version of his CV.